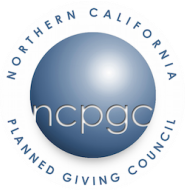 The Northern California Planned Giving Council Philanthropist of the Year Award honors individuals who have an established record of exceptional generosity and through planned giving have demonstrated outstanding civic and charitable responsibility. Nominees must have made a planned gift that has benefited one or more Bay Area charities. This is an opportunity to select someone that through planned giving, modest, unknown individuals can make significant contributions that truly make a difference. Recipients of this award are honored at the annual National Philanthropy Day Luncheon held by the Association of Fundraising Professionals – Golden Gate Chapter in November. Leonard Ely was a philanthropic visionary, pervasive supporter of our nonprofit partners and an example for ensuring the long-term positive future of our community. His many years of consistent and generous gifts to areas of need such as health, arts, children’s education, environment, housing and family services were a model for the community. While his planned giving activities were extensive, they pale in comparison to the active philanthropy too long to list here. His leadership and vision inspired the common good and community participation. In 1989 Mr. Ely gave the initial and largest portion of the pooled income fund at Silicon Valley Community Foundation, encouraging his colleagues to incorporate their philanthropic goals with their estate planning. In order to ensure Silicon Valley’s positive future, Mr. Ely designed his philanthropy to last for many years to come. In 1980 Mr. Ely was dubbed “The Million Dollar Man” for his assistance in fundraising one million dollars for the endowment at Silicon Valley Community Foundation. As the endowment and legacy donation champion of the Palo Alto Community Fund, he remains its most generous donor and was their most active fundraising volunteer. Some of his planned giving beneficiaries include Stanford University, The Peninsula Stroke Association and the Silicon Valley Community Foundation. Those who were close to Mr. Ely will tell you that he was an ardent advocate of planned giving as an effective and fulfilling expression of generosity and community support. Leonard Ely passed away on April 29, 2011 at the age of 87 at Stanford University Hospital. The Northern California Planned Giving Council has chosen June Berry, 90, founder and chair of the Buy-Out Club at The Redwoods, a nonprofit retirement community in Mill Valley, as its Philanthropist of the Year. She was honored in November on Philanthropy Day at an annual luncheon in Oakland and was the guest of the NCPG Council sponsored table.Six years ago, Mrs. Berry, a Redwoods resident and charter member of its planned giving committee, suggested forming a residents-only legacy society to honor those who would include The Redwoods in their estate plan. She raised a few eyebrows with her “Buy-Out Club” title, but no one could argue with the Club’s success—42 members in a community of 350 whose average age is 88. The title had a logic and appeal that rang true to the residents. The Redwoods requires no initial buy-in, charging instead a monthly rent for four levels of care that range from independent living to twenty-four-hour skilled nursing. Mrs. Berry promoted the Club through quarterly parties that featured hearty hors d’oeuvers, champagne, speakers and residents sharing personal histories. Of that’s there’s not doubt. You didn’t have to buy in. So why not buy out? Many Club members want their bequests to help fellow residents if they run out of funds; others support The Redwoods’ general purposes. Mrs. Berry also helped found “Mill Valley Seniors for Peace,” which became vividly present to Mill Valley commuters when the group, with handmade signs, a few walkers and some musical instruments in hand, began protesting the war in Iraq at the corner of Miller Avenue and Camino Alto on Fridays in January, 2003. They’re still at it. A documentary on the group by filmmaker David Brown, with many of its members recalling the horror of battle from their experiences fighting in World War II, was shown at the 2004 Mill Valley Film Festival. So why don’t you buy out? Note: A special thanks to Phil Murphy for helping identify June Berry and taking responsibility for getting June and her guest to the Philanthropy Day luncheon. Phil also authored the above article.